Truth, Beauty, Freedom, and Books: Janeite Gift Guide! I've been noticing these 'gift guides' popping up everywhere, and since I don't like recommending books to get people I don't know (it's hard enough figuring out books to get people I do know), I thought I would instead share with you these delightful Janeite items you can buy on Etsy. Aren't these adorable? 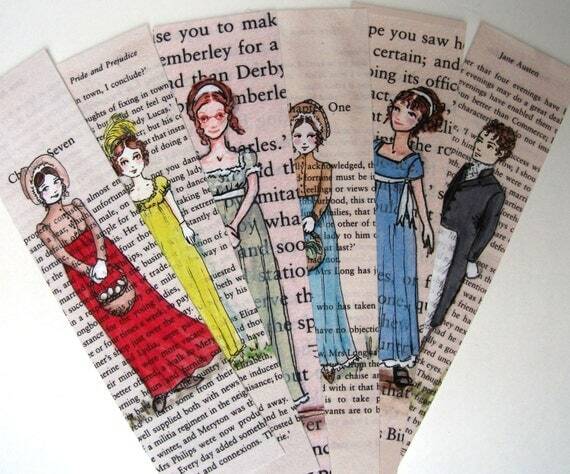 The seller also has art prints with these original drawings of Jane Austen characters. I think this would be cute gift for a pre-teen just starting to read classics. 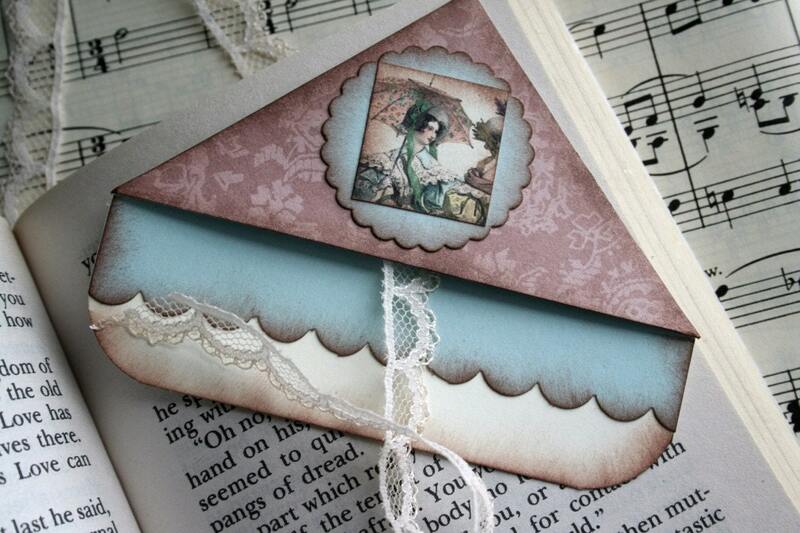 These corner bookmarks are much fancier (and more expensive) than the previous bookmarks. Not sure how practical they are, either, but they certainly look good. 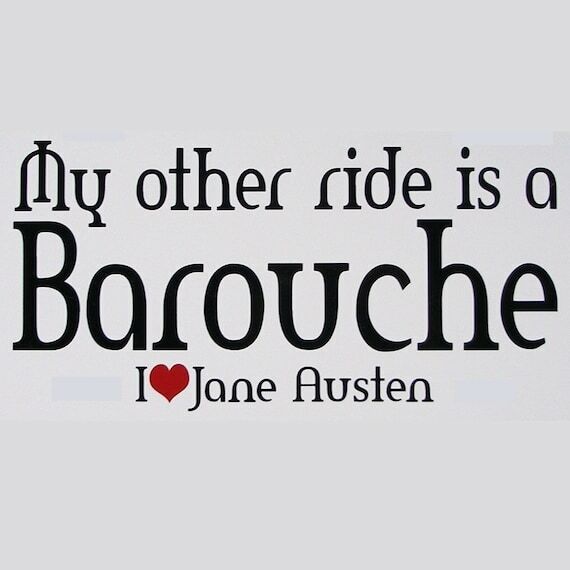 Cars and Regency-era romance so rarely go together, but they can now with this perfect accessory for every driving Janeite! Probably not the best card to use for an apology, but they would be awesome to send in lieu of a break-up text. Haha. Kidding! But kinda not. 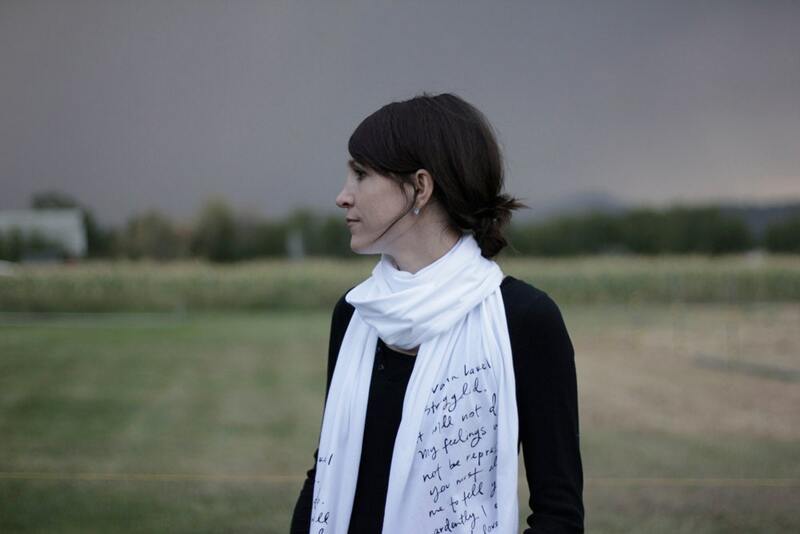 You'll not only think but feel like Mr. Darcy in this snowy white women's cravat, which repeats the classic words of his proposal, right before he put his foot in his mouth. 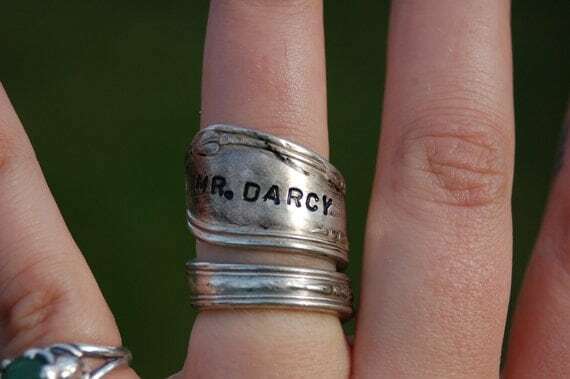 Mr. Darcy is literally wrapped around your finger. Okay, this I really do need. 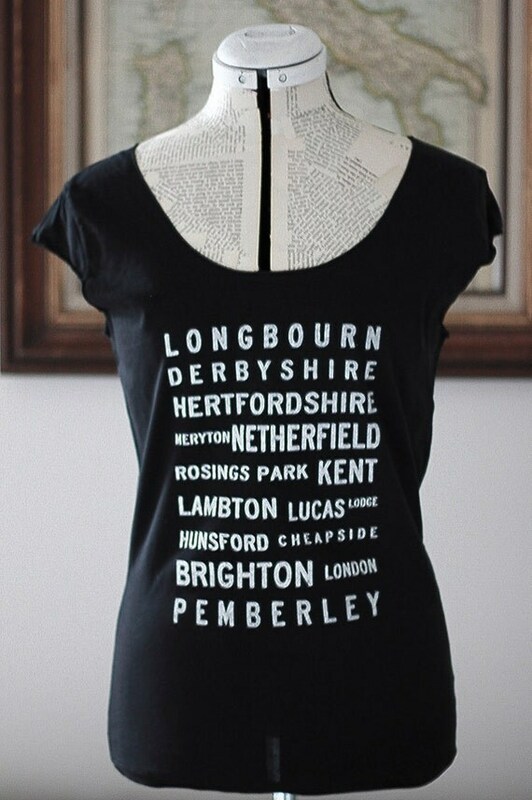 Listing all the locations mentioned in P&P, this shirt is a subtle and clever way of identifying other Janeites, and may also double as a map in case you get lost. In Regency England. 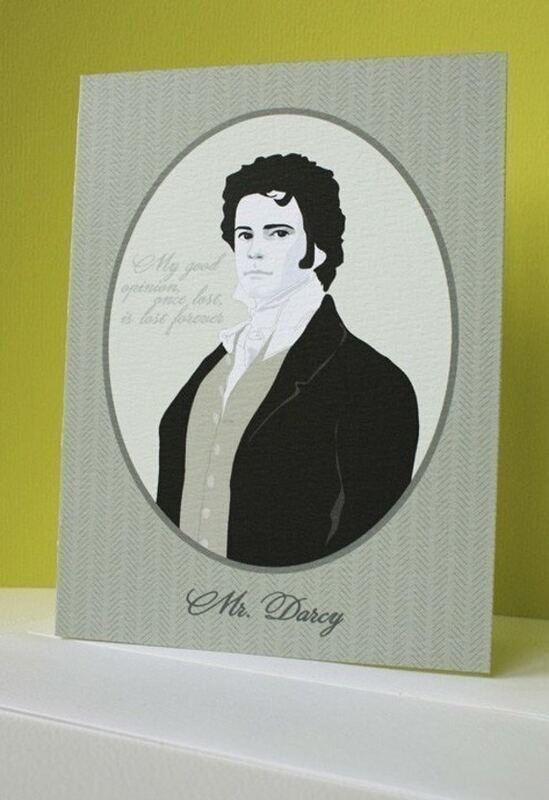 Do you have any great gift ideas for lovers of Jane Austen novels? What Was Exciting and Awesome In 2011?